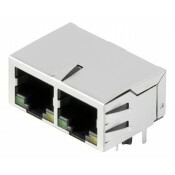 Rhopoint Components are currently the only UK franchised design-in distributor stocking the Weidmüller Omnimate range of RJ45 data connectors and USB connectors, facilitating reliable data transmission within the industrial Ethernet environment. 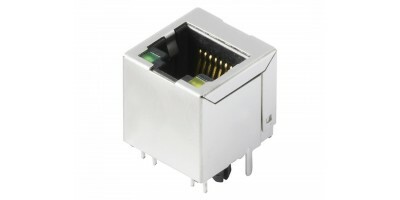 The RJ45 data connectors transmit high-frequency data at speed of up to 1 Gbit/s and feature reinforced gold layer ensuring great reliability, quality of connection and corrosion resistance. Utilising integrated magnetics, the PCB jacks actively counteract the noise, saving space on your board and subsequently the overall cost. 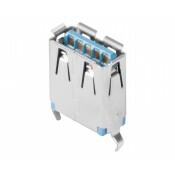 Weidmüller connectors are well known for their high quality and are a brand of choice for many reliability critical applications and rough environments. 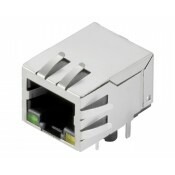 The Weidmüller Omnimate RJ45 range covers wide variety of soldering methods and is suitable for all common methods of PCB assembly. Please browse our range below.